It’s Christmas! It’s that time of year when it’s actually acceptable to listen to festive music and decorate your house without getting weird looks. I really wanted to decorate before Thanksgiving this year, but for my husband’s sanity, I decided to hold off until exactly the day after we ate all of that glorious turkey. I have always wanted to have one of those fantastically gorgeous, boutique style Christmas trees living in my house during the holiday season. I want the beauty, the sparkles, the whimsical and warm fuzzy feelings, and the amazing artistic value a tree like that can bring. But, the price tag has always been a deterrent. Do you know what I mean here, people? A tree like that can be very expensive! I gave myself a $25 budget. I needed to be organized and have a plan of action in order to get the most out of what I had. I wasn’t able to just buy random ornaments that looked pretty. I needed to know exactly what was needed to accomplish this challenge. 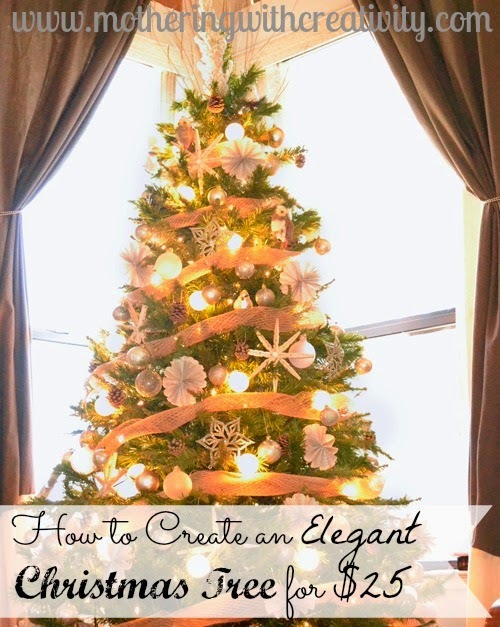 Below are some organized tips and tutorial links that can help you have a fantastically gorgeous, boutique style Christmas tree on a $25 budget! What are you waiting for!? This first step is key. Decide what you really want to use from what you already have. 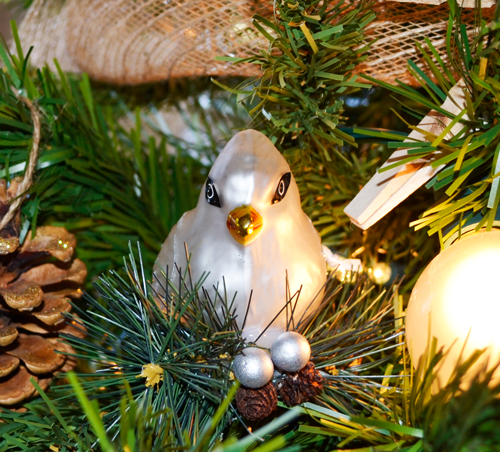 This will allow you to save money and to establish a base for your new elegant Christmas tree theme. After I gathered what I already had to use to established my base, I was able to figure out what I needed for my elegant Christmas tree theme. I wanted to stick with similar colors of what I already had in my ornaments and accents, like silver, brown, and white. I also wanted my theme to incorporate more natural elements with added glitz. 2. WHAT ORNAMENTS/ACCENTS DO YOU NEED TO PURCHASE? After you’ve established your base of what you already have, now you can figure out what you actually need to buy with your $25 and where to go to get the most out of your budget. Since I only had $25 to work with, I figured I would start at the best place there is, the Dollar Tree. The Dollar Tree is wonderful for holidays. The only issue I have come across with this store is that sometimes their products are not always perfectly put together and can sometimes be a little on the cheese ball side. However, I figured I would check out the ornament section and give it a whirl. I actually found some pretty great things! All I had left was the jute mesh. I checked out Michael’s since that would be the best bet, plus I had a 50% off coupon good on any regular priced item. I found a 12” x 19’ roll of jute mesh in the floral section for $9.99 and paired it with my 50% off coupon. Score! I would cut the mesh into strips and twist them later on in order to wrap it around the tree. 3. 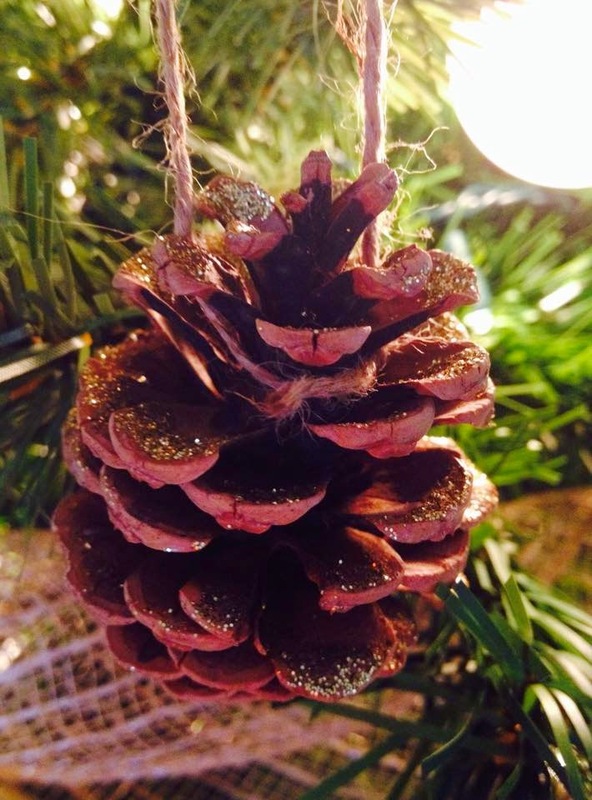 MAKE YOUR OWN ORNAMENTS! 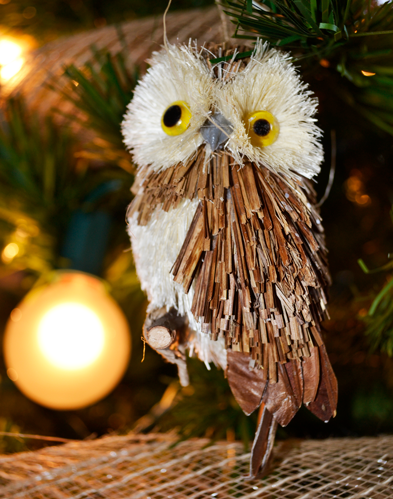 After buying your necessity ornaments and accents for your tree, determine if there is anything else you can add that you can make yourself. 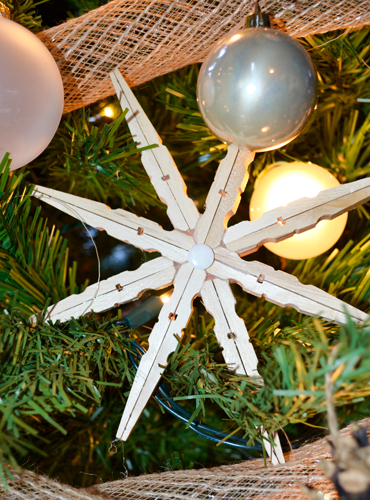 Pick one or two simple projects that won’t stress you out this season. After all, Christmas is no fun with stress involved. I love creating. It pours joy into my soul. 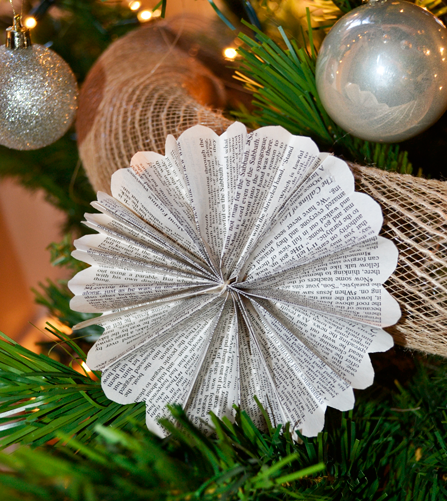 I wanted to create some special ornaments to go along with my new tree. I found a few styles that would work well with my theme and would also be inexpensive and simple to make. Plus my kids were able to get in on glitter action! 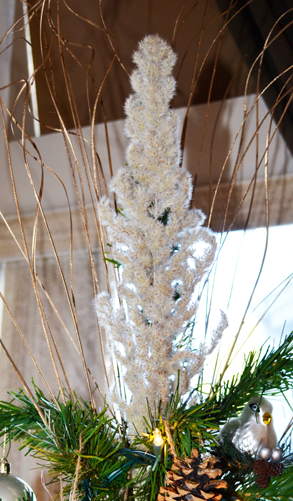 The total cost for my elegant Christmas tree...drum roll please....was a whopping $19.06! That is certainly below my original budget of $25 and is certainly fantastic for this budget savvy girl. 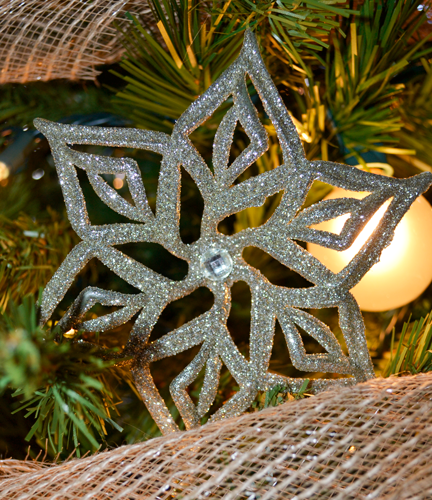 If you have always wanted a fancy Christmas tree but have been intimidated by cost, there is no need to be any longer. Enjoy your tree!